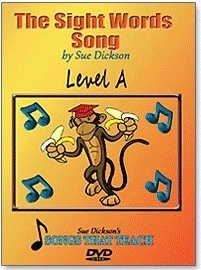 Help your beginning reader(s) master basic sight words by watching the video and singing along with "Marvin the Marvelous Monkey." 20 verses teach 4 words per verse. Created by Sue Dickson.